Certified. 24/33 City/Highway MPG CARFAX One-Owner. 2016 Mercedes-Benz C-Class C 300 4MATIC® This sporty red sedan comes equipped with endless convenience features such as brake assist, electronic stability control, and more! Certified. 24/31 City/Highway MPG CARFAX One-Owner. Clean CARFAX. Mercedes-Benz Certified Pre-Owned Details: * 165 Point Inspection * Vehicle History * Includes Trip Interruption Reimbursement and 7 days/500 miles Exchange Privilege * Limited Warranty: 12 Month/Unlimited Mile beginning after new car warranty expires or from certified purchase date * Warranty Deductible: $0 * Transferable Warranty * Roadside Assistance Reviews: * Broad range of engine choices; quiet, upscale and well-built interior with a roomy backseat; long list of standard safety and technology features. Source: Edmunds2016 Mercedes-Benz C-Class C 300 4MATIC® This sporty red sedan comes equipped with endless convenience features such as brake assist, electronic stability control, and more! Certified. 24/31 City/Highway MPG CARFAX One-Owner. 2019 Mercedes-Benz CLA 250 4MATIC® This night black sedan has all the features of a new vehicle with a pre-owned price tag! Ultra Low Mileage! 24/32 City/Highway MPG CARFAX One-Owner. Clean CARFAX.2019 Mercedes-Benz CLA 250 4MATIC® This night black sedan has all the features of a new vehicle with a pre-owned price tag! Ultra Low Mileage! 24/32 City/Highway MPG CARFAX One-Owner. 2016 Mercedes-Benz GLE 350 4MATIC® Roomy backseats with roof rack rails and and spoiler. Endless safety and convenience features! Clean CARFAX. Mercedes-Benz Certified Pre-Owned Details: * Includes Trip Interruption Reimbursement and 7 days/500 miles Exchange Privilege * Vehicle History * 165 Point Inspection * Limited Warranty: 12 Month/Unlimited Mile beginning after new car warranty expires or from certified purchase date * Warranty Deductible: $0 * Roadside Assistance * Transferable Warranty Reviews: * Broad range of engine choices; quiet, upscale and well-built interior with a roomy backseat; long list of standard safety and technology features. Source: Edmunds2016 Mercedes-Benz GLE 350 4MATIC® Roomy backseats with roof rack rails and and spoiler. Endless safety and convenience features! 2016 Mercedes-Benz GLE 400 4MATIC® This stunning SUV is equipped with Smartphone Integration and endless convenience features! Certified. CARFAX One-Owner. Clean CARFAX. Mercedes-Benz Certified Pre-Owned Details: * Vehicle History * 165 Point Inspection * Transferable Warranty * Limited Warranty: 12 Month/Unlimited Mile beginning after new car warranty expires or from certified purchase date * Warranty Deductible: $0 * Roadside Assistance * Includes Trip Interruption Reimbursement and 7 days/500 miles Exchange Privilege Reviews: * Broad range of engine choices; quiet, upscale and well-built interior with a roomy backseat; long list of standard safety and technology features. Source: Edmunds2016 Mercedes-Benz GLE 400 4MATIC® This stunning SUV is equipped with Smartphone Integration and endless convenience features! 2016 Mercedes-Benz GL-Class GL 450 4MATIC® Power Moonroof, an Illuminated Entry, and MB-Tex Upholstery give this SUV the ultimate luxurious feel and drive. Certified. CARFAX One-Owner. Clean CARFAX. Mercedes-Benz Certified Pre-Owned Details: * Limited Warranty: 12 Month/Unlimited Mile beginning after new car warranty expires or from certified purchase date * 164 Point Inspection * Roadside Assistance * Includes Trip Interruption Reimbursement and 7 days/500 miles Exchange Privilege * Transferable Warranty * Vehicle History * Warranty Deductible: $0 Reviews: * Broad range of engine choices; quiet, upscale and well-built interior with a roomy backseat; long list of standard safety and technology features. Source: Edmunds2016 Mercedes-Benz GL-Class GL 450 4MATIC® Power Moonroof, an Illuminated Entry, and MB-Tex Upholstery give this SUV the ultimate luxurious feel and drive. 2016 Mercedes-Benz Polar White GL-Class GL 450 4MATIC® Room for 7 Adults in this roomy SUV! Endless safety features and Roof Rack Rails also included amongst the rest! Certified. CARFAX One-Owner. Clean CARFAX. Mercedes-Benz Certified Pre-Owned Details: * 164 Point Inspection * Includes Trip Interruption Reimbursement and 7 days/500 miles Exchange Privilege * Warranty Deductible: $0 * Roadside Assistance * Transferable Warranty * Limited Warranty: 12 Month/Unlimited Mile beginning after new car warranty expires or from certified purchase date * Vehicle History Reviews: * Room for seven adults; authoritative power; available fuel-efficient diesel V6; classy and quiet interior; strong brakes. Source: Edmunds * Broad range of engine choices; quiet, upscale and well-built interior with a roomy backseat; long list of standard safety and technology features. Source: Edmunds2016 Mercedes-Benz Polar White GL-Class GL 450 4MATIC® Room for 7 Adults in this roomy SUV! Endless safety features and Roof Rack Rails also included amongst the rest! 2018 Mercedes-Benz E-Class E 300 4MATIC® Equipped with remote keyless entry and COMAND® Navigation system! Certified. Odometer is 2499 miles below market average! 21/29 City/Highway MPG CARFAX One-Owner. Clean CARFAX. Mercedes-Benz Certified Pre-Owned Details: * Limited Warranty: 12 Month/Unlimited Mile beginning after new car warranty expires or from certified purchase date * Warranty Deductible: $0 * Roadside Assistance * 165 Point Inspection * Transferable Warranty * Vehicle History * Includes Trip Interruption Reimbursement and 7 days/500 miles Exchange Privilege2018 Mercedes-Benz E-Class E 300 4MATIC® Equipped with remote keyless entry and COMAND® Navigation system! Certified. Odometer is 2499 miles below market average! 21/29 City/Highway MPG CARFAX One-Owner. 2019 Mercedes-Benz GLE 400 4MATIC® Equipped with an exterior parking camera, Genuine wood dashboard insert, and more; this low mileage GLE is the perfect family vehicle that incorporates luxury and functionality! CARFAX One-Owner.2019 Mercedes-Benz GLE 400 4MATIC® Equipped with an exterior parking camera, Genuine wood dashboard insert, and more; this low mileage GLE is the perfect family vehicle that incorporates luxury and functionality! 2017 Mercedes-Benz G-Class G 63 AMG® Elegant design inside and out, this SUV has it all. Equipped with Harman/Kardon® Speakers, Alloy Wheels, and more! Not to mention ULTRA LOW MILEAGE! CARFAX One-Owner. Awards: * ALG Residual Value Awards Reviews: * Balance of comfort and performance makes it an appealing daily driver; solid fuel efficiency from the standard four-cylinder engine; plenty of room for adult-sized passengers in back; elegant design inside and out gives it a true luxury appearance. Source: Edmunds * Balance of comfort and performance makes it an appealing daily driver; solid fuel efficiency from the standard four-cylinder engine; plenty of room for adult-sized passengers in back; a long list of advanced safety features are available; elegant design inside and out gives it a true luxury appearance. Source: Edmunds * Elegant interior and exterior design; excellent balance between agile handling and a comfortable ride; abundant safety equipment that is better executed than most; fuel-efficient turbocharged engine. Source: Edmunds2017 Mercedes-Benz G-Class G 63 AMG® Elegant design inside and out, this SUV has it all. Equipped with Harman/Kardon® Speakers, Alloy Wheels, and more! Not to mention ULTRA LOW MILEAGE! 2016 Mercedes-Benz C-Class C 300 4MATIC® Endless features such as Remote Keyless Entry, Premium Audio System, and more! 24/31 City/Highway MPG CARFAX One-Owner. Clean CARFAX. Reviews: * Broad range of engine choices; quiet, upscale and well-built interior with a roomy backseat; long list of standard safety and technology features. Source: Edmunds2016 Mercedes-Benz C-Class C 300 4MATIC® Endless features such as Remote Keyless Entry, Premium Audio System, and more! 24/31 City/Highway MPG CARFAX One-Owner. 2016 Mercedes-Benz C-Class C 300 4MATIC® Every element of this sedan cabin is thoughtfully engineered and elegantly crafted to make you feel at home, and in control, on any road! 24/31 City/Highway MPG CARFAX One-Owner. Clean CARFAX. Reviews: * Broad range of engine choices; quiet, upscale and well-built interior with a roomy backseat; long list of standard safety and technology features. Source: Edmunds2016 Mercedes-Benz C-Class C 300 4MATIC® Every element of this sedan cabin is thoughtfully engineered and elegantly crafted to make you feel at home, and in control, on any road! 2016 Mercedes-Benz C-Class C 300 4MATIC® Several driving assists such as Brake Assist and Electronic Stability Control are only the beginning of all the features this sedan has to offer! Odometer is 2880 miles below market average! 24/31 City/Highway MPG CARFAX One-Owner. Clean CARFAX. Reviews: * Broad range of engine choices; quiet, upscale and well-built interior with a roomy backseat; long list of standard safety and technology features. Source: Edmunds2016 Mercedes-Benz C-Class C 300 4MATIC® Several driving assists such as Brake Assist and Electronic Stability Control are only the beginning of all the features this sedan has to offer! Odometer is 2880 miles below market average! 24/31 City/Highway MPG CARFAX One-Owner. 2016 Mercedes-Benz C-Class C 300 4MATIC® Elegant interior and exterior design with excellent balance between agile handling and a comfortable ride! Equipped with a premium audio system and endless safety features! Odometer is 2002 miles below market average! 24/31 City/Highway MPG Clean CARFAX. Reviews: * Broad range of engine choices; quiet, upscale and well-built interior with a roomy backseat; long list of standard safety and technology features. Source: Edmunds2016 Mercedes-Benz C-Class C 300 4MATIC® Elegant interior and exterior design with excellent balance between agile handling and a comfortable ride! Equipped with a premium audio system and endless safety features! 2016 Mercedes-Benz C-Class C 300 4MATIC® Under 10,000 miles! Equipped with Homelink transmitter, a Premium Audio System, and more! Odometer is 21096 miles below market average! 24/31 City/Highway MPG CARFAX One-Owner. Clean CARFAX. Reviews: * Broad range of engine choices; quiet, upscale and well-built interior with a roomy backseat; long list of standard safety and technology features. Source: Edmunds2016 Mercedes-Benz C-Class C 300 4MATIC® Under 10,000 miles! Equipped with Homelink transmitter, a Premium Audio System, and more! Odometer is 21096 miles below market average! 24/31 City/Highway MPG CARFAX One-Owner. 2016 Mercedes-Benz GLA 250 4MATIC®® Rich interior appointments with a roomy backseat! Ultra Low Mileage and abundant convenience feature! Certified. Odometer is 9430 miles below market average! 24/32 City/Highway MPG CARFAX One-Owner. Clean CARFAX. Mercedes-Benz Certified Pre-Owned Details: * Limited Warranty: 12 Month/Unlimited Mile beginning after new car warranty expires or from certified purchase date * Vehicle History * Warranty Deductible: $0 * Roadside Assistance * Transferable Warranty * Includes Trip Interruption Reimbursement and 7 days/500 miles Exchange Privilege * 165 Point Inspection Reviews: * Sporty handling and performance from base model; stunning performance from AMG® version; ample safety features. Source: Edmunds * Broad range of engine choices; quiet, upscale and well-built interior with a roomy backseat; long list of standard safety and technology features. Source: Edmunds2016 Mercedes-Benz GLA 250 4MATIC®® Rich interior appointments with a roomy backseat! Ultra Low Mileage and abundant convenience feature! Certified. Odometer is 9430 miles below market average! 24/32 City/Highway MPG CARFAX One-Owner. 2016 Mercedes-Benz C-Class C 300 4MATIC® Long list of technology features such as keyless entry, premium audio system, and more! 24/31 City/Highway MPG CARFAX One-Owner. Clean CARFAX. Reviews: * Broad range of engine choices; quiet, upscale and well-built interior with a roomy backseat; long list of standard safety and technology features. Source: Edmunds2016 Mercedes-Benz C-Class C 300 4MATIC® Long list of technology features such as keyless entry, premium audio system, and more! 2016 Mercedes-Benz C-Class C 300 4MATIC® Crisp Polar White exterior and luxurious Cranberry interior! Endless safety and convenience features! Certified. 24/31 City/Highway MPG CARFAX One-Owner. Clean CARFAX. Mercedes-Benz Certified Pre-Owned Details: * Vehicle History * Transferable Warranty * Warranty Deductible: $0 * Limited Warranty: 12 Month/Unlimited Mile beginning after new car warranty expires or from certified purchase date * Includes Trip Interruption Reimbursement and 7 days/500 miles Exchange Privilege * 165 Point Inspection * Roadside Assistance Reviews: * Broad range of engine choices; quiet, upscale and well-built interior with a roomy backseat; long list of standard safety and technology features. Source: Edmunds2016 Mercedes-Benz C-Class C 300 4MATIC® Crisp Polar White exterior and luxurious Cranberry interior! Endless safety and convenience features! 2015 Mercedes-Benz C-Class C 400 4MATIC®® Long list of advanced safety features and genuine wood console insert! Odometer is 9035 miles below market average! 21/29 City/Highway MPG Clean CARFAX. Reviews: * If you're a more conventional luxury enthusiast who digs the occasional fast-paced drive, the Mercedes C-Class could be your cup of tea. With its reassuringly traditionalist interior, the C-Class is more like a scaled down premium car than an aspirational entry-level offering - which we think is a good thing. Source: KBB.com * Meticulous construction and engineering; refined ride and handling; elegant interior; rip-roaring C 63 AMG® model. Source: Edmunds * Meticulous construction and engineering; refined ride and handling; elegant interior; rip-roaring C 63 AMG® model. Source: Edmunds2015 Mercedes-Benz C-Class C 400 4MATIC®® Long list of advanced safety features and genuine wood console insert! Pre-owned vehicle pricing includes all offers. Tax, Title and Tags not included in vehicle prices shown and must be paid by the purchaser. While great effort is made to ensure the accuracy of the information on this site, errors do occur so please verify information with a customer service rep. This is easily done by calling us at 914-315-7624 or by visiting us at the dealership. 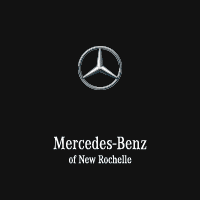 Mercedes-Benz of New Rochelle	40.9189636, -73.7673672.